As you are building your Jambo, you need to know who to work with and whom to avoid. On this page, I will detail my experiences. When looking for information about your Jeep, it is just as important to know who NOT to talk to as it is to know who to talk to. This site was developed by someone that is filled with Jeep passion and wants to see the Jeep heritage preserved. Spending the day it would take to really read everything here should convince you of that. While building the site, we ran into a few rascals and bad websites. Here list a few companies that we strongly suggest you avoid. JeepForum is a website owned by Verticalscope Inc., which is a for-profit corporation based on Canada. This website is nearly impossible to use and is our least favorite Jeep website on the entire web. The worst part is that it is not run by people who care about you or your Jeep. They want to control your discussions online and will not permit you to access information outside of their forum. What, they don't have the First Amendment in Canada? You will find nothing of value there and will, instead, waste hours and hours of time as we did. If you are looking for a forum, then check out www.cj-8.com or the Project Survivor Facebook group. 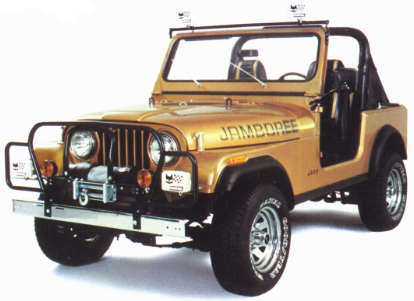 CJ-8 is where the true Jeep people and Jeep collectors are. In addition, the site is not all junked up with ads and the moderators do a great job managing the threads. Project Survivor is fun with lots of updates and action. Kemper Insurance is an insurance company that I do not recommend. I recently had a horrible experience with their Dallas based office. We had the displeasure of having to deal with LaShonda Lacy (llacy@kemper.com) and Mike Richmond (mrichmond@kemper.com). My family and I were hit head-on by one of their insureds, who was completely at fault. I did not feel like they were helpful and instead tried to take advantage of me--even though I did nothing wrong and am a fellow Texan. They did not seem to care about making things right. These are not people I want to work with and Kemper is not a company I can recommend you deal with or work for. If you need insurance for your Jeep, check out Hagertry. CNA Insurance is the worst long-term care insurance provider out there. They totally rip off their customers. I bought a long-term care policy for me and my wife in 2010. We thought we had the premium locked in. They CNA double our rate after paying in for 7 years and then they increased the rate by another 15% after 8 years. I am convinced that they will just increase the premimum to get us to drop the policy before we will ever need the benefit. Thank god, CNA is being sued as part of a class action lawsuit. Stay away from CNA!